So be sure to check out the app in the Android Market, and if you've got an Xperia Play, let us know what you think! Hit up the break for the full press release. Palo Alto, CA – December 22, 2011 – OnLive, Inc., the pioneer of cloud gaming, today announced that its free OnLive app for Android has been updated to support the slide-out game controls on the Sony Ericsson Xperia™ PLAY smartphone*, enabling gameplay of almost all OnLive games, including the latest AAA console-class titles. 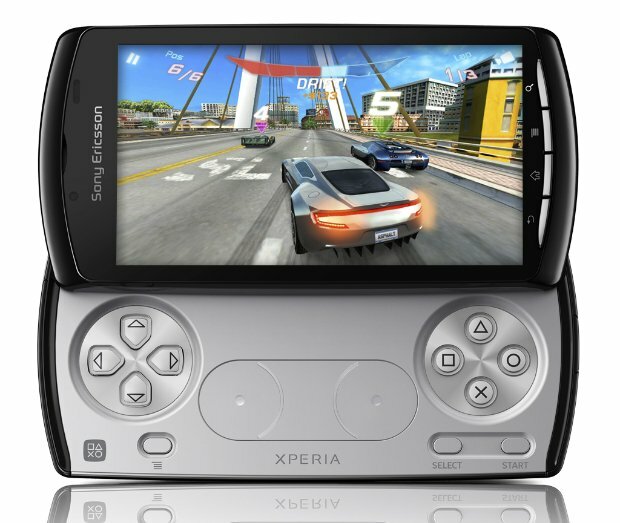 The Xperia PLAY combines Android smartphone touchscreen control with what every console gamers dreams of: slide-out dedicated gaming keys, analog touch joysticks and shoulder buttons. The just-updated free OnLive Android App delivers the missing piece: AAA high-performance console-class games playable directly with the slide-out controls, streamed over the Internet for instant on-demand play. Released to the Android Market on December 8, the free OnLive app is the first cloud gaming app to enable users to play high-performance, console-quality games—previously playable only on the highest-end computers and gaming systems—on devices as simple as smartphones and tablets. Unlike downloaded games, OnLive games are streamed over the internet just like streaming music and video, never taking up storage. And OnLive games are cross-platform—meaning you can start play on your PC or Mac®, then pick up your game on your smartphone and finish on a friend’s TV via the OnLive Game System with all your save game data intact. Or, play multiplayer with friends on entirely different devices. Now, with Xperia PLAY, gamers will be able to extend OnLive’s high-performance game touch experience with the greater control, better accuracy and the physical feeling of a game console controller, all in a single compact smartphone. Customers can find the OnLive app in the Android Market by following this link: https://market.android.com/details?id=com.onlive.client. Tablet and smartphone owners who don’t own an Xperia PLAY can choose two other ways to play on an Android tablet or smartphone. They can jump instantly into free demos of 24 touch-playable games, such as Dirt 3 and Defense Grid Gold, which have been either redesigned with native touch controls or include various virtual gamepads on-screen. Or, they can play nearly every game in OnLive’s growing library using the recently released and highly-acclaimed Universal OnLive Wireless Controller, designed to optimize wireless play across tablets, smartphones, PCs, Macs, TVs and Blu-ray players. For more information on the OnLive app and the Universal OnLive Wireless Controller, visit www.onlive.com or www.onlive.co.uk. *OnLive has no affiliation with Sony- Ericsson, and the OnLive Android App is compatible with a wide range of Android smartphone and tablets, including the Xperia PLAY. OnLive is the pioneer of on-demand, instant-play video game services, delivering real-time interactive experiences and rich media through the Internet. With groundbreaking video compression technology, OnLive harnesses cloud computing to provide the power and intelligence needed to instantly deliver the latest, premium game titles to any HDTV via the OnLive Game System, nearly any PC and Mac® via a small browser download and tablets and smartphones through the OnLive app. OnLive is available in North America and the UK and will continue expanding into Europe and Asia soon. OnLive’s technology is backed by hundreds of patents and patents pending. The company is headquartered in Palo Alto, California. OnLive investors include Warner Bros., Autodesk, Maverick Capital, AT&T, British Telecommunications (BT), The Belgacom Group, HTC and Juniper Networks. More information is available at www.onlive.com and www.onlive.co.uk. OnLive calls their latest app update “console class” on the Xperia PLAY, enables slide-out game controls originally appeared on AndroidGuys.